Don't spend your evening at home watching television. 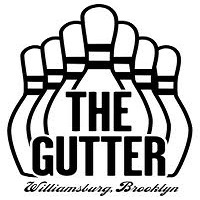 Go out instead and have fun with your friends and family at The Gutter. This bowling alley in NY features 8 authentic wooden lanes taken from a center in Ohio from the 70's, sweet machines to keep your scores, 12 craft brew taps, and a bar. The Gutter is 21+ at all times (no kids). If you come on in for happy hour, you can get 2 games or hours for the price of 1. Prices: $7/game, $40/hour Monday to Thursday, $45 Friday to Sunday. The facility is open daily. Visit the website for more information.